Jim Martin, the longtime general manager of the Y-D Red Sox who stepped down during the offseason after 22 years with the Cape Cod Baseball League, is the 2014 recipient the Fred Ebbett Lifetime Achievement Award, given to an individual for outstanding contribution and dedication to the league. Martin, who was coached by Cape League Hall of Famer Merrill "Red" Wilson, developed a love for baseball and the Cape League from a very early age. Parents of Martin's friends housed Cape League players throughout the years, and he grew close to many of them. 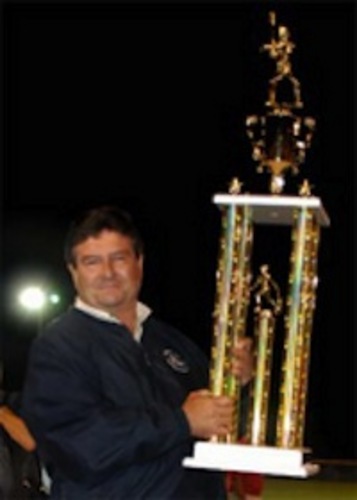 Under Jim Martin's reign, the Y-D Red Sox won the Cape League championship three times: in 2004, 2006 and 2007; and captured four postseason division championships and five regular-season championships. Over the years, Martin wore many hats: as treasurer, CCBL executive committee and budget committee member, in corporate development review, and general contracting the build out of the CCBL Hall of Fame Museum in cooperation with designer Gary Ellis, Decorator Diane Troy and Curator Dan Dunn. He also served on the Hall of Fame Advisory Board and Hall of Fame Committee. One of Martin's more notable contributions was collaborating with Cape League President Judy Walden Scarafile on the creation of the Safe Transportation Project 11 years ago. This project is responsible for bringing buses to each team for travel to and from games. But perhaps the biggest achievement by Martin, the 2012 recipient of the John Wylde General Manager of the Year Award, was helping rebuild the Y-D Red Sox franchise. What Martin accomplished with the Cape League pales in comparison with his family life, which includes his loving and supportive wife of 36 years, Marilyn, and their two children, son Jamie (a former Y-D batboy) and daughter Andrea. Among Martin's prized possessions? 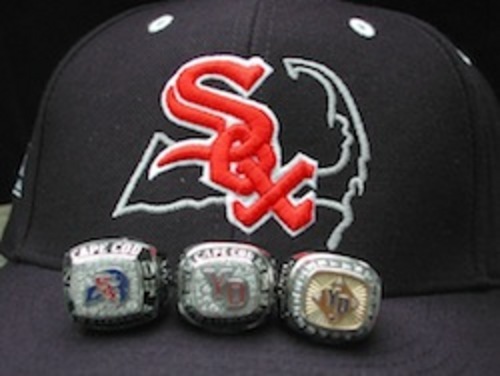 His Cape League championship rings. In 1991, Martin made it his goal to improve the entire Red Sox franchise, from the team itself to an improved field to a new press box, new dugouts and bleachers. Under his regime, the team achieved tremendous success. Y-D used a grant from the Yawkey Foundation to help partially cover renovation expenses and at that time also entered into a 25-year user agreement with Dennis-Yarmouth Regional School District to use the field. The school also plays a large part in maintaining the field throughout the year. Martin helped grow the Y-D Red Sox youth baseball clinics to help young athletes gain fundamental skills as well as sportsmanship. The intent was to give kids the opportunity to draw on experience from the nation's top baseball players and in turn to grow and nurture a loyal fan base within the community. In late May, Martin received a phone call informing him he had been chosen to receive the Fred Ebbett Lifetime Achievement Award. “I have been very humbled and honored by the Hall of Fame and the community," he said. "I am very appreciative of receiving the award and for all the people who have helped me along the way. They should all share in this recognition. This is Martin's first summer away from the league in 22 years. While he is thoroughly enjoying spending time with his family, including two new grandchildren, he said he hopes to return to the league in some capacity in the future.